When Devere installs new security cameras, Audrey declares war. Written for radio. 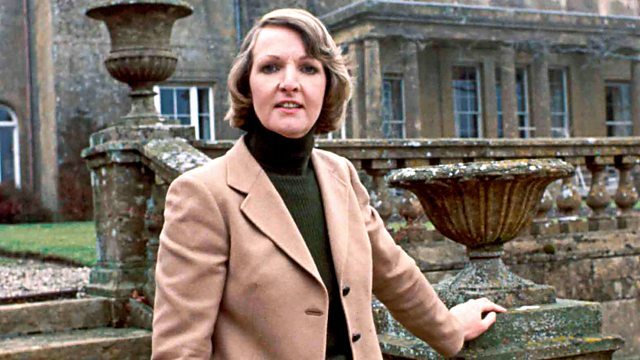 Stars Penelope Keith. From March 1997. When Devere installs new security cameras, Audrey declares war. Starring Penelope Keith as Audrey fforbes-Hamilton, Keith Barron as Richard DeVere, Angela Thorne as Marjory Frobisher, Nicholas McArdle as Brabinger, Margery Withers as Mrs Polouvicka, Frank Middlemass as Ned and Kevin Eldon as PC Dottle. First piloted on radio and then whisked off to TV before it ever appeared, before finally arriving home in 1997. Written for radio by Peter Spence.